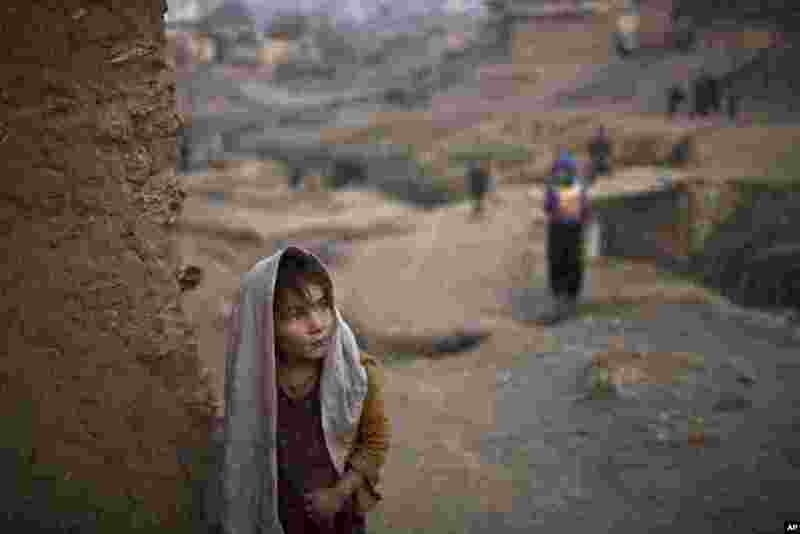 ١ Afghan refugee Sayma Naseeb, 4, stands by the doorway of her family's mud house in a poor neighborhood on the outskirts of Islamabad, Pakistan. 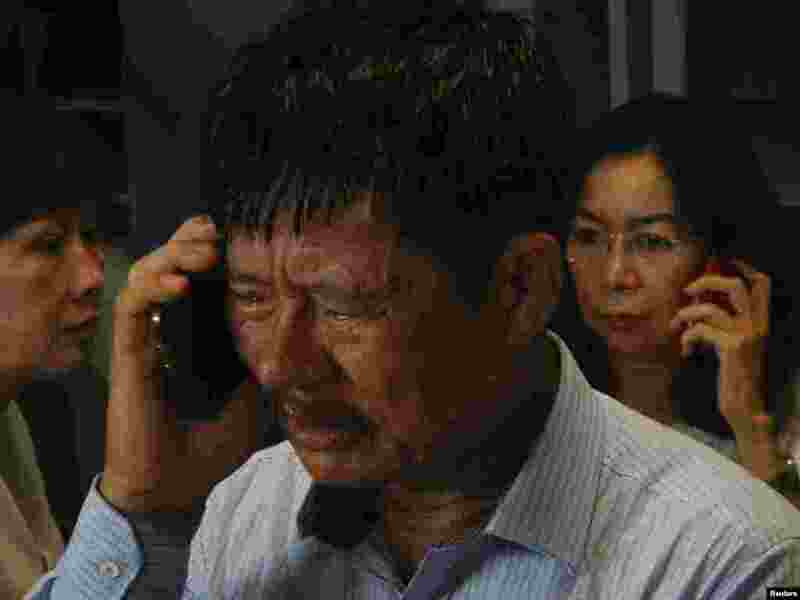 ٢ Family members of passengers on board AirAsia flight QZ 8501 talk on their phones while waiting for information inside a crisis centre at Juanda Airport in Surabaya, East Java, Indonesia, in this photo taken by Antara Foto. An AirAsia flight with 162 people on board lost contact with air traffic control after the pilots asked to change course to avoid bad weather during a flight from the Indonesian city of Surabaya to Singapore, Indonesian officials said. 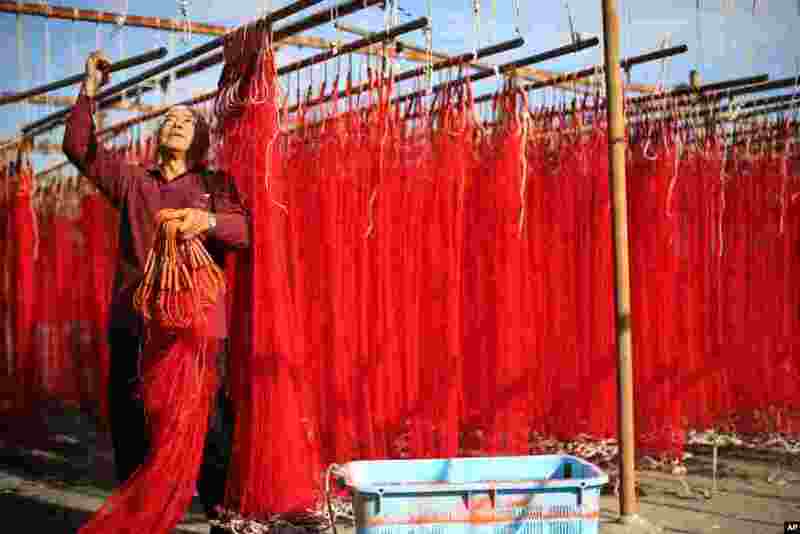 ٣ A fisherman takes in the dried fishing nets to catch a local specialty "Iseebi" or Japanese spiny lobster at Touji Port in Shimoda, Shizuoka Prefecture. 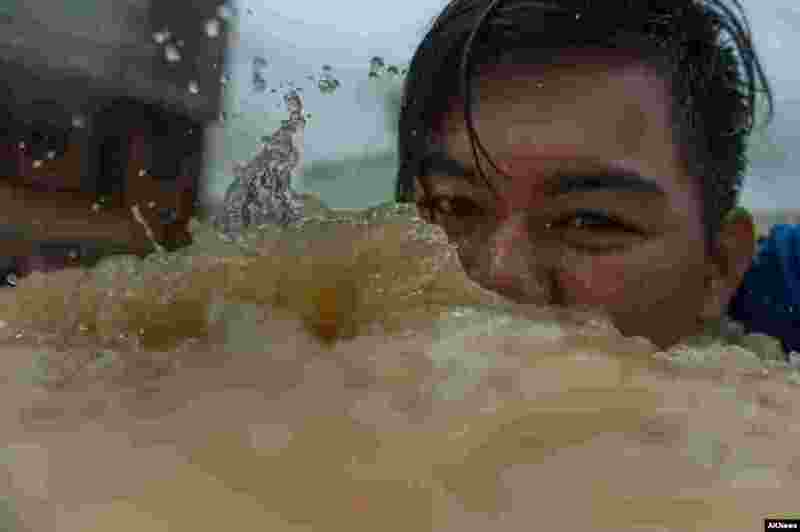 ٤ A boy looks on as he swims in floodwaters in Kota Bahru. Malaysia pledged more funds to help over 160,000 people hit by the country's worst flooding in decades, as forecasters warned fresh rain could hamper efforts to relieve thousands left stranded by the waters.